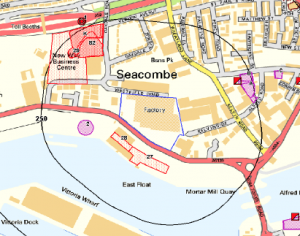 As part of the documentation required to assess the potential liabilities of the industrial estate before agreeing to the purchase a Phase I desk study report was required in order to determine the potential liabilities associated with historical contamination in the site soils. 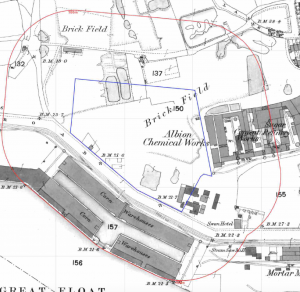 The review of the historical Ordnance Survey maps revealed the site was developed prior to the first edition map (1878), the first map revealed the site formed part of a brick field and a number of ponds and excavations were present across the site. The site was also adjoined by a Chemical Works, which by 1899 was a manure works. The existing buildings were erected circa 1967 when the site was a pet food factory, the site was identified as a works on subsequent maps. A review of the British Geological Survey geological maps identified that deposits of made ground were present on the site. 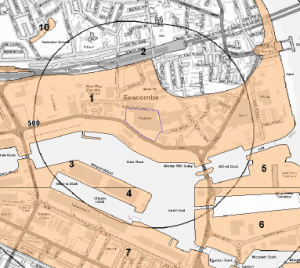 Data provided by the Environment Agency indicted the presence of a number of landfills within 250m of the site. It was concluded that there was a credible risk that waste from both the chemical works and manure works have been deposited in the excavations on the site as well as a risk from ground gases form both the site soils and nearby landfills, the adjoining land uses (industrial and commercial) was also regarded a having the potential to impact site soils. The walkover survey identified a number of on site potential sources of contamination (furl tanks, electricity substations, industrial premises). A qualitative risk assessment was undertaken which determined that the site has the potential to be impacted by elevated levels of contamination,and whilst the site is unlikely to be classified as ‘Contaminated Land’ under Part 2A, a limited investigation targeting the in-filled ponds on the site was proposed to obtain additional information as to the site soils.